Update – Unfortunately, but not surprisingly perhaps, the US has rejected the North Korean proposal about reviving the hunt for MIAs, saying Pyongyang must first return to the six-party talks. 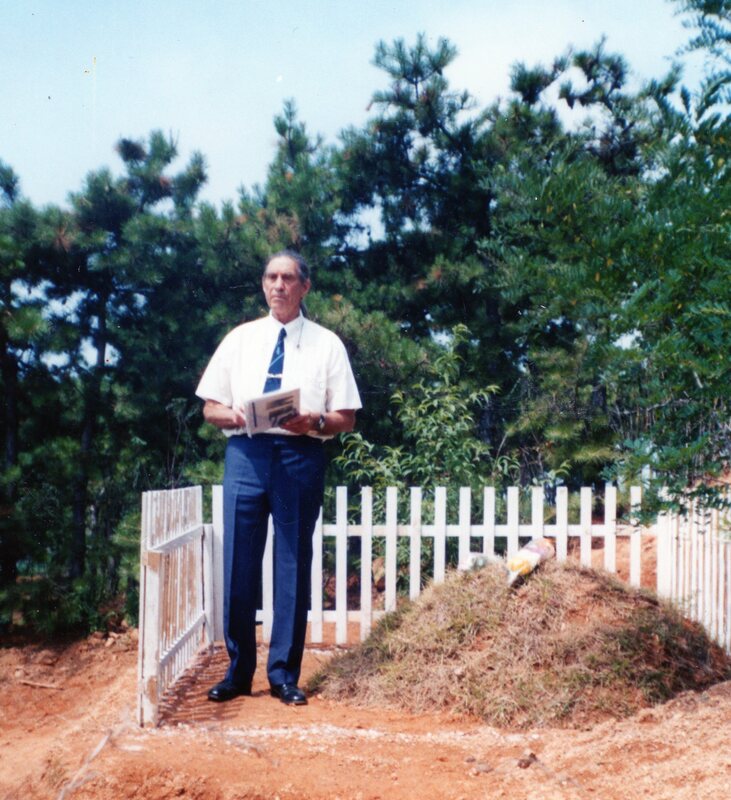 I posted last year about a British Korean War pilot who is buried in North Korea. This got me interested in MIAs (missing in action) in the Korean War more generally, particularly Americans as there was in the 1990s rather surprisingly a joint US-North Korean programme to recover their remains. This Clinton-era project foundered after a few years, not at all surprisingly, but there are now unexpected signs that the North Koreans want to revive it. No date has been agreed on restarting the search for the remains. More than 8,100 Americans remain unaccounted for from the Korean War, according to the Department of Defense. During Operation GLORY in 1954, North Korea returned the remains of over 2,000 Americans, the Department of Defense says . “Between 1954 and 1990, the U.S. was not successful in convincing North Korea to search for and return additional U.S. remains,” the Defense Prisoner of War/Missing Personnel Office (DPMO) states on its website. The US military newspaper Stars and Stripes last year quoted a US Defense Department anthropologist who had taken part in the hunt for MIA remains in the North as saying he was frustrated that the operation north of the border had been suspended. “I am always disappointed when politics interfere with human rights and bringing closure to families whose relatives died in Korea so long ago,” said Jay Silverstein during a search for remains in South Korea close to the border with the North. He said he hoped some day to return to North Korea to continue to search for the remains of U.S. service personnel. “I found the North Koreans very pleasant to work with,” said Silverstein, who was overseeing the excavations in Hwacheon county about eight miles from the border with North Korea. “My experience was very positive. It gave me a lot of hope for the future … that relations between the North and the South and the West and the rest of Asia will someday be improved. The Chinese side seems to have been reluctant to share much information with the Americans so far, but the Chinese news agency Xinhua reported last October that “Chinese military archivists have identified more than 100 documents that could lead to the repatriation of the remains of the United States personnel who disappeared during and after the Korean War”. It added that “China’s People’s Liberation Army (PLA) Archives Department has been combing more than 1.5 million archives of the then People’s Volunteer Army (PVA), the Central Military Commission (CMC) and the PLA headquarters during the Korean War. The Chinese report mentioned how archivists had located the site where a U.S. bomber crashed in 1950 in the southern province of Guangdong. “After visiting the site and interviewing 19 witnesses who helped them identify the burial site of U.S. crew, they believe the possibility of finding the remains is high,” it added. The DPMO’s Greer said that “We are making slow steady progress” in the joint archive project. He said that in September 2009 the US hosted six PLA archivists for annual discussions and to review arrangements, and that the archivists provided additional information on the Guangdong crash site which was part of their annual report in June 2009. In October 2009, General Xu Caihou 徐才厚, vice-chairman of the PLA’s Central Military Commission, presented four Chinese-language documents to Defense Secretary Robert Gates during a visit to Washington. “The documents concerned the Guangdong site and a F-86 Korean War crash site in China about which we were already aware.We have requested permission to investigate the Guangdong Province crash site in April this year,” Greer told me in an email. “At the September 2009 meeting we also discussed amending our arrangement to facilitate the transfer of actual documents from the PLA archives to us and to permit joint PLA archives-DOD accounting community remains recovery work in China. The amendment process is underway now, but not final,” he added. The South Koreans, who lost tens of thousands of soldiers in the war, would also like to hunt for their remains in the North. President Lee Myung-bak said in a New Year’s address this would be an appropriate way to mark the 60th anniversary of the start of the Korean War. But relations between the two Koreas are so frigid that I would lay a much bigger bet on the US search for MIAs restarting than on a similar agreement being signed between Pyongyang and Seoul. With many thanks to Daily NK for drawing my attention to North Korea’s interest in reviving the MIA search. Click here for an interesting New York Times article about Daily NK and other Seoul-based organisations that report on North Korea through underground contacts there. Flight Lieutenant Desmond Frederick William Hinton (August 13, 1922-January 2, 1952) was a Royal Air Force fighter pilot who died in the Korean war flying for the United States Air Force and is buried in North Korea. 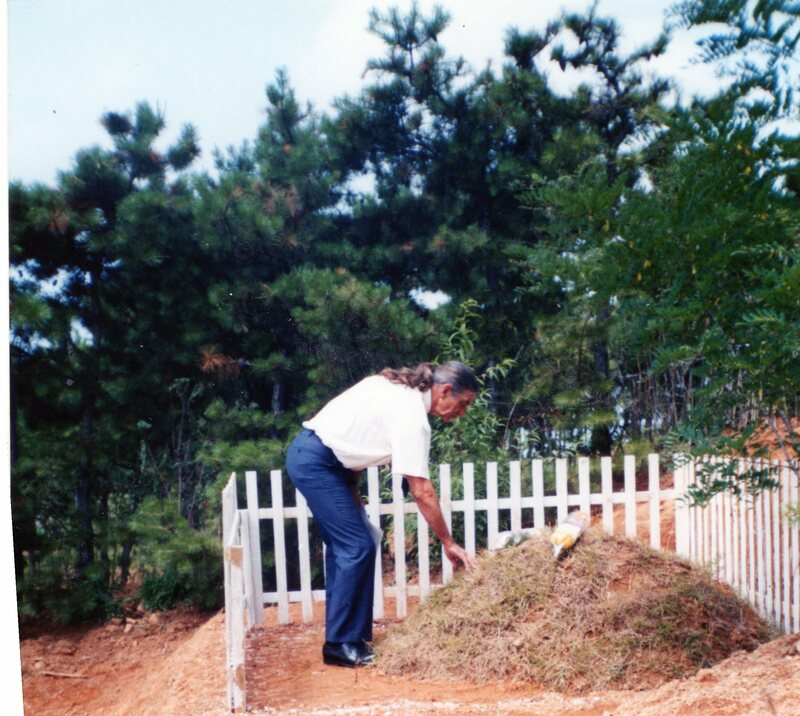 I am extremely grateful to his brother David who shared his memories of Desmond with me and told me the remarkable story of how he located Desmond’s grave near Pyongyang and visited it in 2004. I wrote about this for the Asia Times, and David was also kind enough to share with me photographs of Desmond which he has allowed me to put on this website. I am also grateful to HE Peter Hughes, British ambassador to North Korea, and to Korean war veterans Frank Ellison, Peter Fisher, Edgar Green and Stuart Holmes for their valuable assistance, as well as to former British envoy to Pyongyang Jim Hoare for bringing the Quinones article cited below to my attention. In addition I would like to thank the North Korean ambassador to the UK, HE Ja Sŏng-nam, who first alerted me to the existence of Desmond Hinton’s grave in a speech at the House of Commons in March, 2009. For more about Mr Ja and his role in recovering the remains of US soldiers who died in North Korea, see below. Letter from Desmond’s C.O. who said he believed Desmond had survived. Colonel Mitchell said Desmond was on a strafing run on some trucks a few miles northeast of Pyongyang. He called that his plane was hit and he would have to bail out. He jettisoned his canopy and two pilots saw the seat was empty which makes me beleive [sic] that Des got clear of the seat. His parachute was not seen, however, he was wearing an all white shute and the ground was completely covered with snow. This would have made it difficult to see the opened parachute. 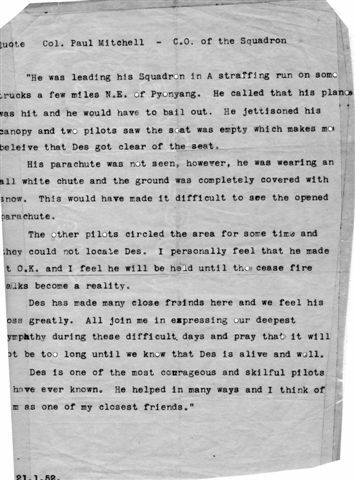 Des is one of the most courageous and skilful pilots I have ever known. He helped in many ways and I think of him as one of my closest friends. The grave is in fields near the village of Kusŏ-ri/Guseo-ri 구서리 which is about 30 km north of Pyongyang close to Sunan 순안 airport at 39°14’05″N 125°42’28″E. Here’s a screenshot from Google Earth and it can be seen on Wikimapia here. Kusŏ-ri is shown in the map below, near the top of the yellow area on the left hand page. 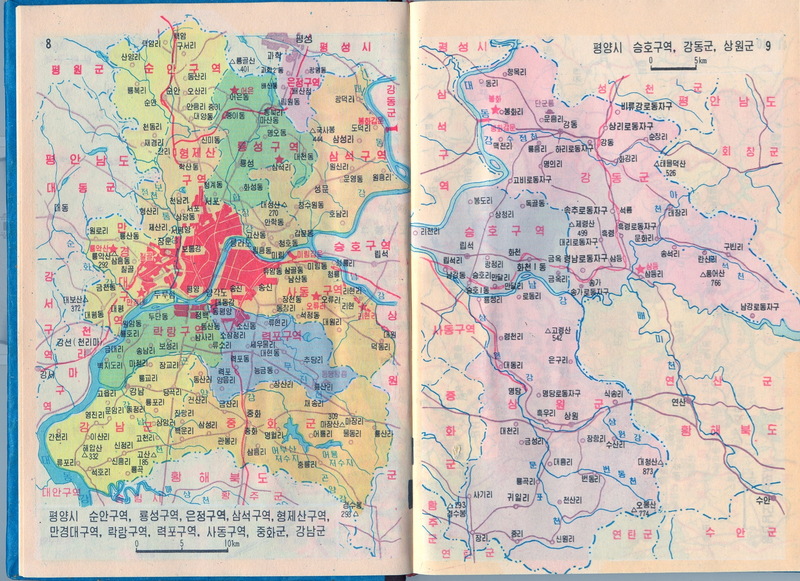 The map is from a small North Korean atlas조선지도첩(Pyongyang, 1997). Reflecting North Korea’s extreme secrecy the country’s only international airport is not marked, although the town of Sunan is marked without mentioning the airport (the town is about 10 km south of Kusŏ-ri). I have marked Kusŏ-ri on the North Korean map here if you want to pinpoint the places on the map more precisely. 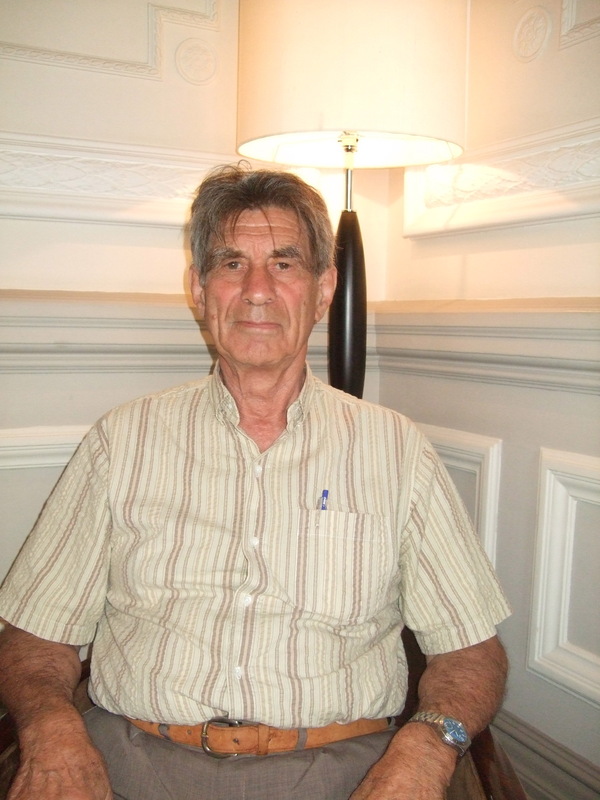 And here is Ft Lt David Hinton (Ret) who made my article possible. 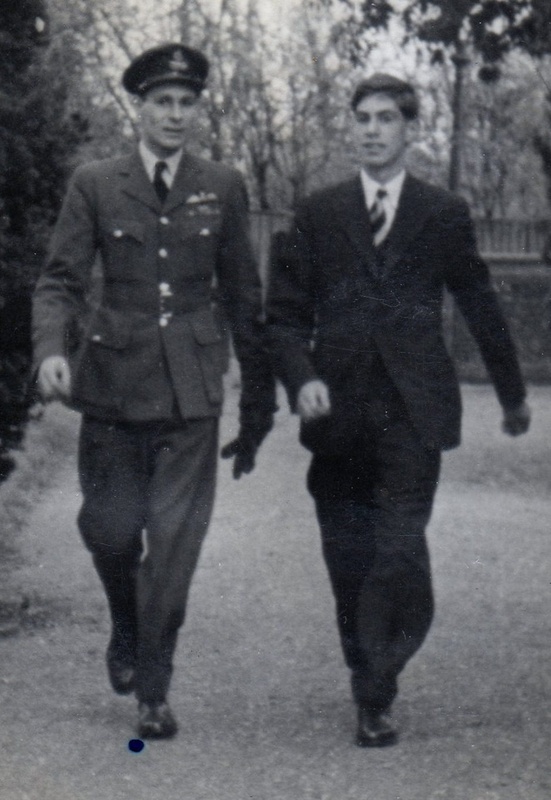 Desmond Hinton was one 41 RAF pilots attached to the USAF in the Korean war, according to Mark Tomkins who has researched this field extensively. Most were attached to the 4th and 51st Fighter Interceptor Wings, flying F-86 Sabre fighters. Four died in action, including Desmond Hinton. None of their bodies were recovered. I have uploaded Tomkins’ report here. Another report, whose author I have not been able to trace, says a total of 18 members of the RAF Sunderland Squadron died in two separate crashes in the Korean war, and six RAF pilots attached to the Royal Australian Air Force also died on operational duties. “By the end of the war, twenty-one RAF pilots had served with the 4th and 51st Fighter Interceptor Wings,” the book states. “Each tour was approximately four months. As one group went home another was in training at Nellis [Air Force Base near Las Vegas, Nevada]. Sixteen officers in all completed active operations. All of them damaged one or more MiG-15s during combat, several were credit with ‘kills'” (Vol 2, pp. 323-324). However, David Hinton told me his brother trained at Shaw Air Force Base, South Carolina, not at Nellis. 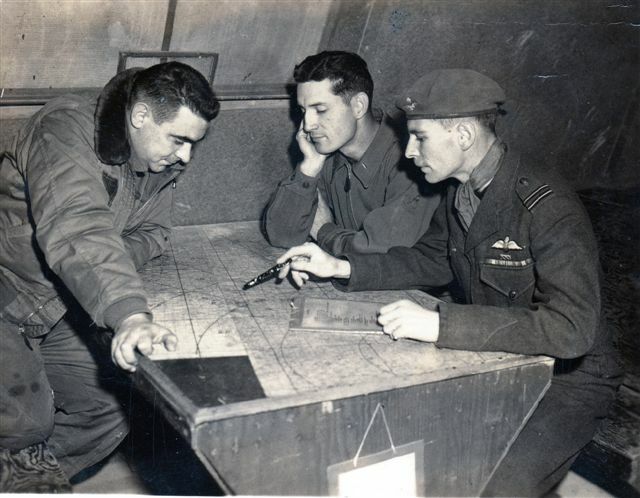 The Shaw website describes how “The outbreak of the Korean War in the summer of 1950 spurred the deployment of the wing’s flying units to Royal Air Force Station Manston [Kent], United Kingdom. Perceiving the communist North Korean aggression as a potential precursor to a large-scale Soviet invasion of Western Europe, the Truman administration ordered a deterrent force of nuclear-capable bombers to England. The wing’s F 84s deployed to protect the bombers from aerial attack while they were parked on vulnerable airfields in East Anglia.” Shaw is still being used to train RAF pilots today. The National Archives has a useful website on the Korean war here. There’s an extremely interesting report entitled The US-DPRK 1994 Agreed Framework and the US Army’s Return to North Korea on the now suspended official U.S. efforts to recover the remains of American servicemen who died in North Korea in Korea Yearbook 2008. 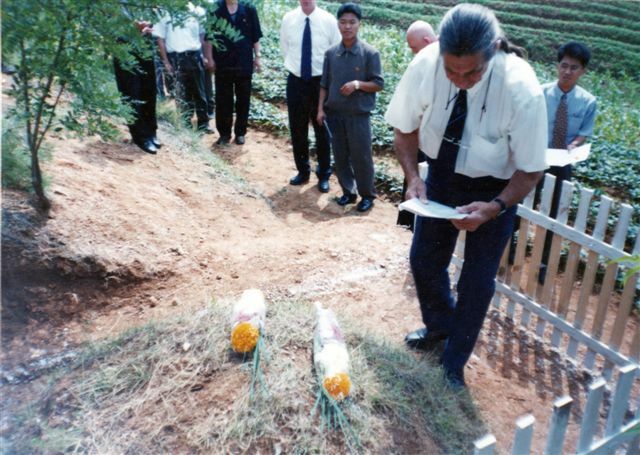 The report by former senior State Department official C. Kenneth Quinones tells how Ja Sŏng-nam was involved in these efforts long before becoming ambassador in London, and how he was almost killed in a car crash near Kaesong on his way to Panmunjom in the wake of the downing of a U.S. helicopter that had repeatedly strayed into North Korean airspace in December 1994. The pilot was killed and his passenger was injured, but thanks in part at least to Mr Ja the pilot’s remains were repatriated and the passenger was released. Apart from Desmond Hinton, who knows if any further British or other members of U.N. forces lie buried in North Korea? 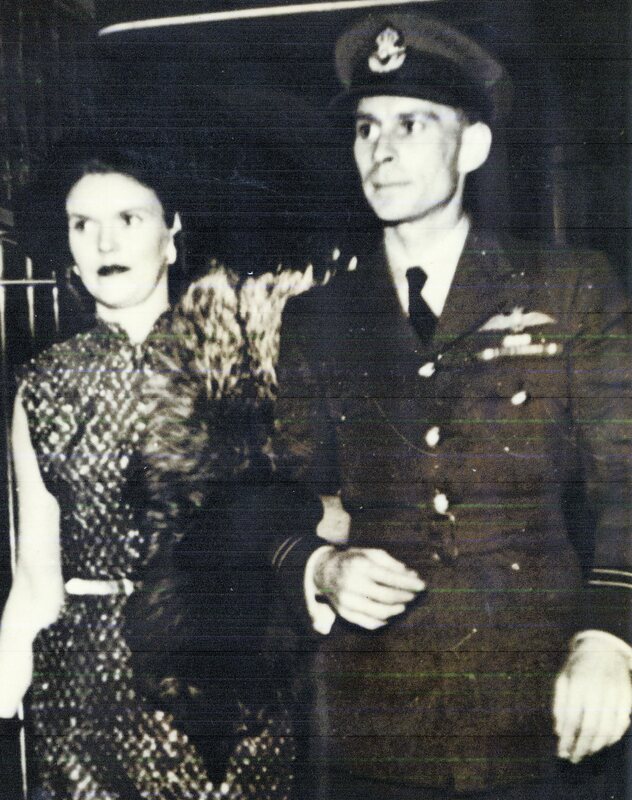 Pyongyang, July 2 (KCNA) — Some days ago, British citizen David Hinton requested the DPRK side to correctly ascertain the fate of his elder brother Frederic William Hinton, former lieutenant of the British Royal Air Force, who participated in the Korean war as an airman through a channel concerned. 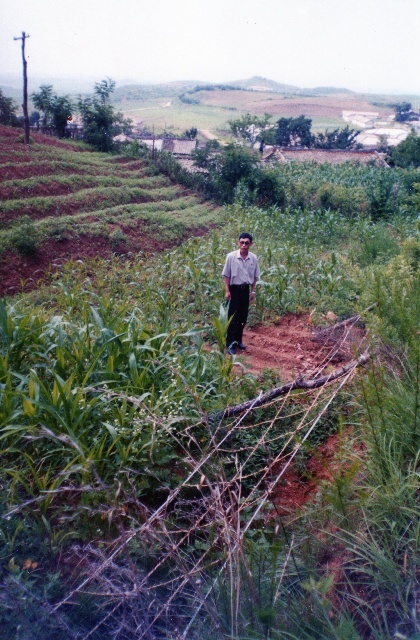 From a humanitarian point of view the DPRK side confirmed with much effort that his elder brother died in the Korean war and informed him of the correct crash site and the grave site. 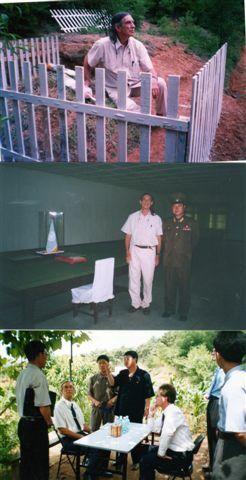 Recently he paid a visit to the DPRK during which he went round these sites. He expressed thanks to the DPRK government and the side of the Korean People’s Army for helping him realize his hope.